Before they can read independently, most children (from all social backgrounds) share the reading of picture books with their parents. The fact that they learn to appropriate books before they are able to “decode” them challenges what is meant by reading as an activity, and leads us to study the construction of the socio-cognitive dispositions that it involves, as well as their variations between families. Rather than focusing on results, this article emphasises the conception of this research and the interdisciplinary importations it operates in understanding these dispositions and their construction. This research borrows from different specialisations within sociology (of culture, and education in particular) as well as other disciplines or disciplinary specialisations such as the psychology of learning, didactics, narratology and literary studies. The integration of these importations into sociological reasoning involves costs and obstacles that must be overcome, but the article also discusses the benefits to be gained from this approach. Avant d’être autonomes face à un livre, la plupart des enfants de toutes les classes sociales sont confrontés à des lectures partagées d’albums avec leurs parents. Apprendre à s’approprier un livre avant de savoir « déchiffrer » interroge ce qu’est l’activité de lecture, et conduit à étudier la construction des dispositions socio-cognitives, variables selon les familles, que cette activité engage. L’article insiste moins sur les résultats, que sur la conception de la recherche et les emprunts auxquels elle procède pour comprendre ces dispositions et leur construction. Ce sont des emprunts à différentes spécialités de la sociologie (de la culture et de l’éducation en particulier), ainsi qu’à d’autres disciplines ou spécialités disciplinaires : psychologie des apprentissages, didactiques, narratologie, études littéraires. L’intégration de ces emprunts au raisonnement sociologique suppose de surmonter certains obstacles, mais elle produit des bénéfices importants sur le plan heuristique. Antes de ser autónomos frente a un libro, la mayor parte de los niños de todas las clases sociales se confrontan a lecturas compartidas de álbumes con sus padres. Aprender a apropiarse un libro antes de saber “descifrarlo” nos interroga sobre lo que es la actividad de la lectura y nos conduce a estudiar la construcción de disposiciones socio-cognitivas, variables según las familias, que esta actividad comprende. El artículo se focaliza menos en los resultados que en la concepción de la investigación y en los préstamos a los que ella procede para comprender estas disposiciones y su construcción. Son préstamos hechos a diferentes especialidades de la sociología (particularmente de la cultura y de la educación), así como a otras disciplinas o especialidades disciplinarias : psicología del aprendizaje, didáctica, narratología, estudios literarios. La integración de estos préstamos al razonamiento sociológico implica costos y obstáculos, así como beneficios. 2.5. Eclectic Repertoires, Homogenous Ways of Reading? The development of sociology and the accumulation of knowledge in this domain have partly led to the areas of study covered by this discipline becoming more specialized. However, over-compartmentalization leads to a situation in which sociologists in each area benefit less from the advances made in others. This article shows that we can benefit from shared intra-disciplinary knowledge in studying the construction of dispositions for reading—be they “scholarly,” or “aesthetic”—in the socialization of young children. It sheds light on the advantages for the sociological approach of taking an interest in the productions of other disciplines that study the same objects, in spite of the “costs” that might be incurred. Although it is based on research that explores different ways parents share picture books with their children (of between four and seven years old), this article does not focus on the presentation of results (we will refer to other publications for this), but rather on the theoretical choices behind the study. These draw on the sociology of education and culture, literary and narrative studies, history of literature, and within education sciences, on didactics and the psychology of learning. We thus outline “services rendered” and “questions asked” for each of these disciplines and subdisciplines, following Marcel Mauss’ approach (much like the sporadic discussion between sociology and psychology—Mauss 1924; Rocheux 2009)1. In so doing, we will emphasize the advantages and disadvantages of constructing a research object at the intersection of several neighbouring areas of research. There has already been significant discussion of the risks that the fragmentation of research objects presents for sociology (Lahire 2012). One of the arguments lies in the loss of visibility of that which is transversal for social beings between different areas of the social world. Pierre Bourdieu and Jean-Claude Passeron’s work, The Inheritors, consisted in breaking down the barriers between relatively distinct areas of sociology, as it was then, and in particular between education, culture, and social class (Bourdieu & Passeron 1979)2. Although the term “disposition” is not present in the book itself, one of the central ideas, emphasized in the subtitle French students and their relation to culture, is that depending on their family socialization in different social classes, students have a more or less substantial capital of cultural knowledge. This cultural capital then in turn benefits them in their academic success, as do their different levels of language ability and different practices in approaching academic knowledge and texts (as these were essentially arts students, the question of the reciprocal transposition of dispositions between literary and artistic practices and the practice of university studies was particularly relevant)3. This idea is at the heart of the research conducted here, both in the ways it continues this idea, and in its departures from it. Prior to this investigation, in keeping with the focus of our research team4, we dedicated several studies to the dispositions demonstrated by students at primary school and lower secondary school, detailing (more than was done in the case of The Inheritors) socio-cognitive activities (Bautier & Rochex 1997) carried out by students, in comparison with those required for academic learning. The key here was to avoid a tendency, frequent in the sociology of education, which consists in emphasizing above all “the transmission of values, to the detriment of intellectual learning” (Chamboderon 1985:87). The research conducted by our team thus observes that the most common pedagogical methods today, which are promoted as being more “active” and as breaking away from the traditional lecturing approach, in fact rely just as much as the latter on what is implicit—a characteristic of the lecture-style classroom highlighted by Bourdieu and Passeron. These teaching methods, which are frequent in the current context of the single unified school in France and mass secondary education, therefore do not create the conditions needed for all students to appropriate academic requirements. Our research thus concludes that students who learn in spite of the low levels of pedagogical guidance provided by schools, probably do so because of dispositions constructed in the family environment (Bautier & Rayou 2009; Bonnéry 2007; Rochex & Crinon 2011). For secondary school students, we thus fully confirm the hypothesis put forward by Bourdieu and Passeron: unequal levels of educational success can be explained by the presence or absence (depending on the social situation of students) of the dispositions that are required by school, but not primarily taught there. However, these results run up against the same limitations as those that have been formulated since The Inheritors, and which are found in most recent studies in the sociology of education. There is an assumption that these “academically profitable” dispositions result from different family socializations, without research into the family environment having verified what this socialization might consist of. There are notable exceptions, however, such as the focus on the presence of “educational games” in families (Lienard & Servais 1976), or studies on language socialization (Bernstein 1975), without overlooking the use of reading and writing (Lahire 1993, 1995), or the completion of homework (Kakpo 2012) in working-class families. However, an inventory shows that studies on family socialization are few and far between (Darmon 2010:37). Moreover, most focus on the transmission of values and tastes, and rarely on the specific ways of familiarizing children with different cognitive activities according to their social group. Our objective of explaining what builds academic success and a “cultivated” appreciation of art, requires us to engage more closely by focusing on cognitive activities. If we now consider the continuity of studies conducted on cultural practices, under the influence of Bourdieu, The Inheritors also represents a starting point for a focus on the schemata of perception that are mobilized in artistic appreciation, as well as on analysis of the “cultural code” which the book solicits from the informed spectator. Although later studies have specifically addressed the cultural field, Distinction in particular, and compliment the approach by also considering reception “by/through the body” The Inheritors has the advantage of studying the question of the transfer of dispositions between spheres of socialization (family, school, leisure activities) with regard to “legitimate” works that mobilize an “aesthetic” (Bourdieu 1984) or a “scholastic” disposition (Bourdieu 2000). From this perspective, although our research also looked at the appropriations of picture books that do not conform to the practices valued by teachers and librarians, it focused on socialization to intellectual activities that participate in “aesthetic” or “intellectual” forms of appreciation, in order to understand what can be transposed from family socialization to academic or cultural practices. Before even considering the specificity of “intellectual” dispositions, we are therefore faced with a dual question: how can we analyse these “dispositions” and how can we study their construction? The notion of disposition is a metaphor for what has been internalized through socialization and which the individual is inclined to activate in certain types of situation. It is therefore impossible to observe a disposition directly. However, we can begin by recording ways of being, doing, and thinking in identical contexts that are sufficiently frequent to surmise that they are manifestations of a disposition to react in a certain type of situation. Indeed, we can identify the socialization conditions that seem favourable to the development of this disposition prior to its activation (Lahire 2002: 18-24). There are two major options here. Either—as is more rarely the case—we can study children to see “socialization as it happens” (en train de se faire), or—as is more common—we can look at dispositions that are already established and retrospectively reconstruct the socialization that allows us to explain recurring behaviour in adulthood. This was the perspective adopted in The Inheritors, where the study began with young adults at university (Bourdieu & Passeron 1979), and The Love of Art, which was based on a study of adult (or at least adolescent) visitors to museums (Bourdieu, Darbel, Schnapper 1991). They observed that university success in arts degrees and attendance of museums mutually reinforced one another, and that they were above all explained by childhood socialization in the family. However, the modalities of this primary socialization were only explored through the memories of the interviewees. We do not only incorporate the “corporeal,” and the thought categories, “cognitive structures” and “patterns of perception and appreciation” […], everything that constitutes the glasses through which we envisage the social world are also “incorporated” during the socialisation process, ready to be activated by situations and experiences. (Darmon 2010: 19). Bernard Lahire’s distinction between three modalities of socialization is heuristic in studying the construction of dispositions “as it happens” (Lahire 2002: 420-422). We will not discuss the first of these modalities here, (socialization through the inculcation of beliefs and values), because it has only been marginally taken into account in terms of the transmission of preferences for the themes covered by picture books or for “moral” tales, and so forth. We draw more substantially on the two others. Firstly, socialization may occur “indirectly” or “silently” (Lahire 2002). In our research on the use of picture books, the context that produces the conditions for socialization is in particular influenced by the size and content of the home libraries that we studied. Of course, parents have a significant role in socialization, but their intervention is indeed “indirect” here. The term seems all the more appropriate given that picture books have been considered as “instruments of socialization” (Chamboredon 1985) in the sense that their regular reading familiarizes children with encountering certain narrative structures rather than others. Socialization can also be “direct” when it operates through joint action. In our research, this occurs in the shared reading of picture books, including vocalization of the text (by the adult) and the designation of elements in the images (verbally or gesturally, by the adult or child), complemented or not by comments or anticipation of what is to come in the story (in the case of a repetitive structure, for example), encouragement to adopt a particular position as a reader, and so forth. How can we identify the elements that participate in the development of a particular disposition—in this case the disposition to read in a way that is relatively consistent with the expectations of academic and cultural institutions? In our observation of shared reading practices, we focused our attention on all the actions that solicited, encouraged, accompanied, or restricted the mobilization of one or several cognitive activities in the child. In reality, we cannot claim to exhaustively demonstrate what constructs a disposition for reading or aesthetic appreciation. However, we will carry out a more detailed exploration of the approaches of adults, which—if they are regular—may be seen as encouraging the development of habits to mobilize cognitive activities that themselves contribute to the construction of this disposition. This question of the level of detail in the action of socialization plays a crucial role in the choices involved in developing our research question. Indeed, conducting analysis at the overarching level of the “disposition” is sufficient for research that needs to associate recurring attitudes (observed among adults, in particular) with socio-cultural backgrounds. However, it seems useful to take a more detailed approach if we aim to understand the construction of inclinations to perceive, think, and act in a particular way, in light of the specific type of situation we are studying. It is therefore important to focus on the cognitive activities5 that underlie “reading” dispositions (Renard 2011). This choice necessarily opens us up to possible accusations of legitimism, and it therefore represents a “cross-border cost” of being less well understood from one area of sociology to another. Indeed, we are less interested in the heterodox appropriation of legitimate objects, although this is common in the sociology of culture, or rather we essentially consider this in light of its distance from the receptions that are valued by cultural and educational institutions. This choice allows us, however, to conduct a close analysis of the forces that structure dispositions for distinguished taste, in particular the specific socio-cognitive activities that contribute to the “formal” approach to the “aesthetic” disposition or “scholastic” reasoning (Bourdieu 1984: 21; Bourdieu 2000; Eloy 2015). These include being able to identify a significant clue in a text or image, interpret or formulate something left unsaid, infer meaning, deduce a moral or formulate an open conclusion, comment upon a work based on its similarities and differences from other works, depending on the author, or the editor etc. This approach appears complementary to the more common orientations of the sociology of cultural practices. Since this disciplinary subarea has become more autonomous, it has tended to focus less on the cognitive activities or patterns of perception mobilized in scholarly appreciations of works of art or literature, has and more on the question of tastes and their legitimacy and eclecticism. Even the notable exceptions to this observation partly confirm it. This is the case of Lahire’s major study based on portraits of individuals, focusing on their cultural practices. This book aims above all to demonstrate that the “dissonant” profiles (with practices of unequal legitimacy) in fact constitute the majority, compared with “consonant” profiles. The use of legitimate works is therefore studied primarily from the perspective of preferences for repertoires that are relatively varied in their legitimacy. In particular, Lahire argues that the combination of genres is “potentially a new formula generating practices and representation” (Lahire 2004/2006: 638) that leads to an appreciation of popular, distinguished and canonical works. He particularly explores “the mixing of what with what” (Ibid. : 651), but less systematically addresses the cognitive activities involved in the appreciation of works of different degrees of legitimacy. However, these elements are present in several interview extracts, demonstrating the unequal “pure interest in form” (Bourdieu 1984: 52) specific to the “scholarly” disposition. For example, whether or not interviewees memorize the names of artists (Lahire 2004/2006: 233, 286, etc.) or titles (Ibid. : 279, 337, etc. ), or the comparison between different versions (between a television series and a film, Ibid. : 354; between a book and a film adaptation, Ibid. : 361; between stagings of a play, Ibid. : 365). However, this aspect is not treated systematically in all the interviews. The analysis is much more consistently directed towards the question of who listens to what (legitimate or not) rather than to who has an “aesthetic” or “participative” appreciation of the works, according to their degree of legitimacy. It is this point that we have chosen to focus on. From this perspective, the choice of activity—reading children’s books—is based on several factors. Since the first studies on the dispositions involved in cultural appreciation among adults, it has been clear that literary schemas dominate academic expectations of cultural dispositions and can be transferred to other art forms—“literary” commentaries on cinema, jazz, and so forth (Bourdieu, Darbel, Schnapper 1990). This explains the decision to study the construction of dispositions for reading, which can be potentially activated in other cultural practices. Picture books, which by definition combine text and image, are therefore likely to reveal activities related to “reading” a text as well as interpreting images. Moreover, reading benefits from the importance traditionally awarded it in primary education. In France, children’s literature was introduced into teaching practices fifty years ago, and in 2002 lists of recommended texts were published for primary schools (this list was renewed in 2007 and 2013), and then in 2013 for preschool education. Children’s literature is a sector of publishing that, having been promoted by teachers and parents, has become progressively autonomous due to the involvement of librarians (Chartier & Hébrard 2000) in keeping up with the demand for cultural instruments for the education of children in the new intellectual middle classes (Chamboderon & Fabiani 1977). But the use of children’s books is no longer the prerogative of families with higher levels of cultural capital. Although differences remain, children’s books have become widespread in families from different socio-economic environments over recent decades (Octobre, Détrez, Mercklé, Berthomier 2010), particularly from the beginning of preschool6 and early primary. At this age, reading is therefore an activity that can be observed in various social environments. Differences lie not only in the absence or presence of established practice, but also in the ways in which it is used, particularly in terms of the cognitive activities involved. Picture books are particularly relevant for our research because texts are now designed for children who cannot yet “deciphering” texts, in the sense of the alphabetic code. In the second or third year of preschool, or in first-year primary (roughly between the ages of 4 and 6), both publishers and parents are explicitly aware that these children are not autonomous in accessing this material. As a result, these books, which associate images and text, are used in the context of “shared reading” (Grossman 1996) between an adult and one or several children. This shared reading, which links and distributes the roles between co-readers in terms of vocalization of the text and commentaries on the images or the story, is liable to reveal a socialization to dispositions for reading. This socialization is much more difficult for a researcher to observe when children are older and read books alone, and it occurs through more diffuse and disconnected exchanges during this reading time. Observing an instance of shared reading is therefore relevant as a moment in which cognitive activities are encouraged or hampered. It thus allows us to study socialization “as it happens” at this age, along with the cognitive activities involved in reading, and to complement what we have learned about this through the retrospective study of high school students (Détrez 1998; Renard 2011) or through more general practices involving writing in families (Lahire 1995). Before studying the forms of reading used by the parents and children, we analysed the books used, because these techniques cannot be considered equivalent and do not solicit the same cognitive activities in accessing their meanings. This research is therefore situated in the continuity of Bourdieu’s approach, which considers the confrontation with the text as the encounter between the codes that the text solicits or activates on one hand, and on the other hand the readers’ or spectators’ patterns of perception, which are unequally adapted to those prerequisites. “Decoding” therefore requires cultural prerequisites for the reader or viewer. It is these prerequisites that we studied in detail within the children’s books that we encountered in the homes of families from different social backgrounds, as instruments of indirect socialization to different cognitive activities. In order to do this, the initial corpus was constituted by collating the content of home libraries available to 4-to 7-year-old children. All the books present in each family home (owned or borrowed) were inventoried (all the covers were photographed in order to research and analyse them later), and then a semi-directive interview was conducted with the parents relating to the choice of books, the cultural practices of children and adults, as well as their social, educational, and professional trajectories (N=107 families from diverse social backgrounds)7. Among the texts, the narrative picture books were coded8 according to the following typology, developed in previous research on children’s books and their uses in the school environment (Bonnéry 2012, 2014): simple, traditional, or complex texts. “Simple” picture books provide the reader with everything necessary to access the primary meaning of the story. “Traditional” books (particularly fairy tales, but also mythology, or adaptations of nineteenth-century classics) are also simple but are distinguished from the previous category by the fact that they tell stories that are not merely recognized from one generation to the next, but which are also necessary for understanding new stories inspired by them9. “Complex” picture books ask the reader—or the adult/child pair—to discover the meaning of the book (or its intentionally plural meanings), which can include avoiding the author’s “red herrings” or double meanings. This typology is inspired by the first sociological enquiry into picture books (Chamboderon & Fabiani 1977), but it has been refined here based on criteria taken from an interdisciplinary review of the literature. Thus, a picture book is considered “complex” (as opposed to “simple”) when it responds clearly to at least one of the three following criteria. These criteria were identified by other disciplines, but have been “sociologized” from the perspective of the cognitive activities they mobilize. 1) The text and images are not redundant but complementary or discordant, providing the reader with additional information or meaning to what is articulated in the text. Many literary (Nières-Chevrel 2009) or didactic (Boiron 2006)10 studies demonstrate this evolution in narrative forms or academic requirements in the use of picture books. We adopted these observations and rendered them sociological by studying books and identifying types of relationship between the text and the images, not to confirm the creativity of the artists or the richness of the narratives, but to ask which patterns of perceptions were solicited. We thus consider that the perception of these suggested meanings is not self-evident but requires a “code” confronting pluri-semiotic clues (text, image, text in the image, typography, etc. Bautier, Crinon, Delarue, Marin 2012), and that it is therefore necessary to verify which types of families accompany (or not) the construction of this code. 2) The meaning of the book changes significantly if we identify references to other texts (from children’s or general culture, literature, or other arts—Chartier 2009) or to a literary genre and its variants deconstructed by literary studies (as in, for example, the various modern versions of fairy tales and, in particular, Little red Riding Hood—Connan-Pintado 2010). The point here is to verify whether these allusions are understood or not, and whether they are used to access tacit significations. 3) The narrative forms are non-linear (the chain of events must be reconstructed, for example) and do not explicitly reveal the primary meaning of the story, particularly when the conclusions are open or must be formulated (Ewers 1996). Although literary or narrative studies view this case (as they do for the preceding criteria) as providing greater richness for children, and pedagogues see opportunities for learning, the sociological transposition of these observations leads us to enquire as to whether or not children are accompanied in performing these implicitly demanded cognitive activities. Thus, the targeting of cognitive activities (inference, comparison, deduction, formulation of a conclusion, and so forth) was essentially based on contributions from other disciplines. In particular, it draws on literary and narrative studies, history of literature, psychology of learning, and didactics, which are—along with sociology—the key disciplines contributing to education sciences. Knowledge of these contributions constitutes an “entry cost” for researchers coming from other disciplines, in this case sociology, who must familiarize themselves with different bibliographies and become informed about new scientific communities. Because the questions raised in these studies are not formulated in the same terms, it is not always easy to identify the scientific references by keywords. Reading the studies, adjusting to new questioning, and becoming familiar with new scientific networks all requires time. Moreover, it is not sufficient to discover new materials on the evolution of children’s literature; there are “importation costs” linked to borrowing knowledge from one discipline to use in another. Indeed, these borrowings imply reconfiguration as well as reuse, in order for the objectivity of the narrative evolutions to be considered as an evolution of the prerequisites to the understanding of the story. But the “costs” associated with this importation may also involve “setbacks” which must be protected against. We experienced this to some extent in providing a sociological perspective on children’s books and their uses, being met with a certain degree of mistrust in scientific networks (particularly in literary studies), which up until recently had a near monopoly on the object. The sociological perspective distances itself from the “richness” of the texts, previously demonstrated by these researchers, not to deny that observation but rather to question the conditions of knowledge and habits that condition the cognitive activities which make this richness accessible. Indeed, we identified a blind spot in previous studies, when the actual readers differ from the “supposed readers” that these studies brought to light. Yet these studies often inspire training practices that aim to encourage teachers or librarians to use “implicit” picture books that “draw on the intelligence of the child” according to the expression frequently used by pedagogues. Certain colleagues even suspected us of contributing to the “disenchantment of culture”—of discouraging the use of these books in favour of “lower quality” ones. These were axiological concerns regarding the social implications of this research, taking the form of resistance to sociological treatment. But the sociological use of this knowledge also provides a “cross-border benefit” for whomsoever is the “vector” of this importation. Firstly, it saves time in identifying the criteria relevant to the evolution of picture books, because once the entry costs have been paid for new bibliographic fields, the interplay of scientific references facilitates the identification of the different criteria distinguished in the disciplines visited. It also represents a symbolic and academic advantage for other disciplines due to the interest that is accorded to them, opening up possibilities for increased communication, publication, and partnership projects. There is also a benefit for sociological networks, in the contribution of useful but less well-known aspects of the subject. However, once again, this produces certain costs, including the need to justify the legitimacy of these heteroclite references, and indeed the focus on cognitive activities, when sociology as a discipline has long abandoned this object, along with the activity of children more generally, to psychologists and pedagogues (Passeron 1991; Isambert-Jamati 2005). The instruments of socialization and the cognitive activities of children are indeed issues for sociological investigation—rather than only being “pedagogical concerns” as is sometimes claimed. The analysis of home libraries demonstrates that preferences for different types of picture book make uneven demands on children to mobilize particular socio-cognitive activities: remember and identify “explicit” meanings; remember traditional stories and internalize standard narrative threads in fairy tales; and decode what is implicit, alluded to, or double meanings11. A second coding criterium was applied in this research: do these books belong to the legitimate sphere of literary production for children (has the author or editor been awarded prizes or been reviewed in key professional journals)? We will begin by presenting the results of this study of the frequency of exposure of children to different kinds of picture book, depending on the characteristics of their family. As the multivariate analysis is still under way, we will demonstrate the very clear differences that can be observed depending on the social characteristics of families, before focusing on the contributions interdisciplinarity can make to this kind of study. Although this research only included families who own books, there is a high proportion of working-class families in the corpus. Contrary to ideas that are widespread among teachers and those working in the culture industry, we frequently find children’s books in the most economically disadvantaged and the least educated homes. The inequalities that exist between the social backgrounds of children in terms of reading, before independent reading is reached, are therefore not primarily due to the presence or absence of books in the household, nor with the familiarity with this object, which may have been the case fifty years ago. These inequalities have shifted. Firstly, the number of books available remains extremely unequal and increases steadily as we move away from the working classes. It ranges from two or three books each for the youngest children in the most disadvantaged families, to more than 50 for most upper middle-class children, and sometimes many more than that—up to 300 for the eldest of two siblings in one instance. For a given socio-economic level, the “educational” or “cultural” profiles of the parents’ qualifications and professions is associated with an increased volume of children’s books. Therefore, among the more highly educated (children of teachers, artists, cultural professionals, etc. ), children often have libraries that are better stocked than those in the families of commercial or technical managers. Similarly, among working class, childcare or holiday centre workers tend to buy or borrow more books for their own children than the parents of the same level of income who are workers or employees, largely due to the training they have received or their professional interest in children’s culture. The shift in inequalities also lies in the content of the books that the children are likely to encounter. Children from working-class families essentially have access to “simple” picture books, often mass produced by publishers, merchandizing spin-offs from television series or the cinema based on a hero or character. In these books, the text provides what needs to be understood and the narrative structure is repetitive or unsurprising. This is the result of choice based on other criteria. Parents thus say they let the child choose what they prefer (what they have seen on television or what is fashionable among their peers). The only veto they enforce is a moral one—the book must not be “shocking” (themes, vulgar language, etc.). When working-class parents choose books, they use the same criteria, preferring what seems to be “recognized” as being a part of children’s culture, and particularly adaptations of cartoons. Conversely, “traditional” books are rare in these families, and the (highly unusual) presence of a “complex” book can be explained by the influence of an institution (a subscription recommended by a teacher, a book encountered by the child in an institution and requested). This confirms the observation of the working classes’ “univorous” cultural consumption of less legitimate repertoires, and furthermore suggests that this limited diversity begins in childhood. Our research demonstrates above all that when the criteria for the choice of picture books are shaped by less legitimate channels, children are primarily exposed to the same kind of “simple” books that encourage the internalization of standard narrative threads and certain types of cognitive activities (such as memorizing the moral of the story). This is useful in constructing dispositions for reading, but does not help children to negotiate a range of different types of story. At the opposite end of the spectrum, children of teachers or cultural professionals have “eclectic” libraries. They possess some “simple” books, but the proportion is more limited. An initial explanation of this lies in the fact that their parents often reject more overtly commercial products. In addition, their home libraries also include many “traditional” and “complex” books, the latter being distributed by legitimate publishing houses. The diversity of works available to children in these environments stems from the plurality of modalities in the choice of picture books, with part of the decision delegated to the child—to conform to the peer group—and part of the decision made by parents, who seek to expose their children to particular authors, collections, and so forth, or who are advised by librarians and specialist booksellers. The consequence is that these children are more frequently in possession of books that transmit the cultural codes of “traditional” narratives, which the “complex” books allude to and divert. As a result, children are invited to decode tacit wordplay and implicit elements in the narratives of these complex books. Between these two extremes there is a sliding scale of family situations. We are able to rapidly identify working-class parents with vocational education who provide their children with “traditional” books more often than the working-class categories already mentioned because they consider the transmission of traditional culture—through fairy tales, for example—to be important. We also observe children of technical and commercial managers whose libraries contain “implicit” or complex books, but to a lesser extent than those of the children of teachers. The results partly tend towards a confirmation of the theory of omnivorous cultural consumption (Peterson 2004; Donnat 1994), while also relativizing it as a contemporary form of cultural legitimacy (Coulangeon 2004; Fabiani 2013). We also demonstrate that as far as reading is concerned, socialization to “preferences” occurs from early childhood. The working classes socialize their children to simple, “commercial” children’s books and give them little exposure to more legitimate and complex works. Children from families who conform to educational and artistic expectations, on the other hand, adapt to reading books from different spheres of production and of different degrees of legitimacy when they are still very young. However, these results also challenge theories of cultural omnivorousness. The first point of debate concerns the way in which diversity of practices—in this case reading practices—may be studied. Indeed, the omnivore model and its variations tastes adopted in various ways from different repertoires and combined to form “tablatures” (Glevarec & Pinet 2009) consider, depending on their level of analysis, genres (literary, musical, or other) or works (books, songs, etc.) as elements that the researcher measures as being correlated (or not) in the same individuals and associates with an indicator of legitimacy. These challenges to the theory of distinction are primarily based on one of the aspects of this theory, according to which the categories that are dominant in the cultural space tend to recognize their own repertoires “arbitrarily” as more legitimate than others. These critiques have therefore observed, after Bourdieu, that the types of repertoire preferred in each social category do not merely stem from the legitimate sphere for some and the illegitimate sphere or “popular tastes” for others. It has also been demonstrated that certain repertoires have been more broadly distributed, and that their consumers have changed. Thus, these challenges to Distinction mainly focus on the argument that the criteria of legitimacy have been weakened, and as a result, so too has the power of dominant categories to impose a set of values. However, as mentioned in the first section, these critiques of the theory of distinction have for the most part neglected one aspect of the question: they do not investigate the forms of perception and the cognitive activities involved in understanding repertoires of artistic or literary works. They limit themselves to observing—in a binary manner—the types of works or genres that are consumed or not. Yet in Bourdieu’s theory, the question of legitimacy is linked to particular schemata of reasoning: it is not only the works themselves that are “scholarly” and therefore legitimate; it is also the ways of approaching them, the ability to discuss them, to situate them within eras and movements, and to compare them using formal criteria. Although the dominant classes within a cultural field draw distinct profit from these differences in repertoire and in forms of perception, they also simultaneously benefit in another way, directly rather than in comparison with other categories. They benefit from the ability to “decode” appreciate, and make connections between “scholarly” works, which is something that less educated classes are deprived of. Bourdieu’s reasoning articulates a theory of the social space (and thus the arbitrary distinction and promotion of certain values to the detriment of others) with a theory of practice, to study the perception of the world by social beings, which cannot be reduced to a struggle for places according to arbitrary criteria. The possibilities of decoding a picture book or not—for example when the narrative intentionally plays on implicit double meanings—confers power onto the things thus manipulated and onto oneself (enabling the development of new forms of understanding, new tastes), and not only power over other social beings (here in the hierarchy of readers, those able to understand or not). While less legitimate works are also consumed by dominant classes, this is not sufficient to say that what characterizes omnivorousness is the diversity of repertoires mobilized. Because in order to be distinctive, rather than disqualified, this eclecticism must not be “random” but rather “enlightened” (Coulangeon 2004: 68). It therefore appears necessary to focus more closely on different forms of appreciation of the same works, and particularly on the “scholarly” appropriations of more working-class or commercial repertoires. This has already been discussed in relation to the students from more privileged backgrounds documented in The Inheritors, who transpose the patterns of literary perception onto less legitimate cultural practices consumed in their free time, for example in their scholarly comments on works of jazz or cinema, which is described as “shrewd eclecticism” (Bourdieu & Passeron 1979: 17). If cultural practices are more and more opportunities for sociability (Pasquier 2005), this is because they are shared, either through bodily practice or through an exchange via a discourse that confronts the repertoires mobilized. What is distinctive about this eclecticism may not lie only in the ability to have diverse tastes, but also in the possibility of making “dissonant” practices and repertoires relatively coherent (Lahire 2004) and connecting remote elements based on scholarly criteria. This enables them to be distinguished from “ordinary” gazes or readings that limit themselves to “simple” or explicit significations in the text, by contributing perspectives that are more reflexive. However, an enlightened omnivore cannot be characterized simply by their appropriation of the initial meaning (explicit significations) and “bodily” or “participative” (suspense, identification—Renard 2011) appropriations of legitimate repertoires. The latter draws on the “scholarly” dispositions required for appropriating the range of hidden meanings and allusions. As a result, research must also cover the modalities of reading and how children are socialized to these during shared reading sessions. Here we transpose the approaches developed in the sociology of education regarding the cognitive activities that are unevenly mobilized by students, onto the sociology of culture. In order to access the modalities of reading, a second corpus was constructed by producing video recordings of shared (adult-child) reading sessions of two picture books in families from a range of social backgrounds, the sessions being systematically followed by an interview explaining the practices observed (N = 8712). 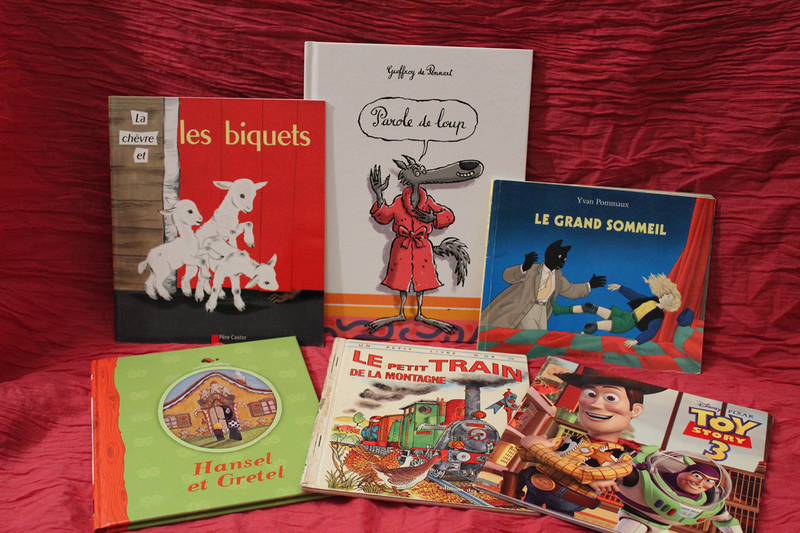 The picture books were provided by the interviewer13 and included a “traditional” text (La Chèvre et les biquets, a version of the traditional story The Wolf and the Seven Kids published by Père Castor in 1958) and a “complex” text (in which a wolf meets the various characters from fairy tales who have already encountered him—Little Red Riding Hood, the Three Little Pigs, etc.). The choice of these two books, both including the character of the “wolf,” aimed to find out what the parent and the child made (or not) of the possible comparison between them. Does shared reading help children get used to understanding a story by comparing it to others (shared characters, similar narrative foundations, different versions, etc.) and by situating it within the codes of a literary genre, here fairy tales, which is respected by one book and distorted by the other? Does shared reading draw attention to works by the same author, or in the same collection, and so forth? Does it help the reader to become accustomed to anticipating the introduction of red herrings or false clues by the narrator in order to give the reader the added pleasure of decoding hidden meanings through discrete clues slipped into a picture or implied in the text? Our results show that the socialization to reading that happens on these occasions varies according to the social and cultural characteristics of the families, including within the working classes: although there are commonalities, the families in this category are by no means uniform. The first type of working-class family includes parents who at best received basic schooling and literacy in a developing country (Type I). They read very little, primarily religious texts and local newspapers. Their shared reading is focused on the correct articulation of the text and almost never take into account the textual clues to explain the implications or double meanings of the narrative; and these families discuss the content and form of the story very little. The book is presented to the child as though it alone provided its meaning and required no commentary except for the sporadic translation of a word considered unfamiliar, or the near identical repetition of the explicit conclusion in the book. This way of reading applies to both the “traditional” and the “complex” book: it allows children to access the primary meaning of the text, but leaves them in the dark as to the more implicit meanings. These families therefore say they do not like the “complex” text and do not see what their child could gain from reading it; they say they would not choose to buy it if they had the opportunity to do so, but also that they cannot explain why they do not like it. After reading the two books, the parents most often asked the child if they were afraid, associating the presence of the wolf with an expected reaction, but the presence of this character in both stories does not provoke particular commentaries or comparisons between the two wolves, nor an explanation of the typical behaviour of this animal in fairy tales. These parents are not familiar with the traditional story of The Wolf and the Seven Kids, nor of the other fairy tales that are referred to in the “complex” book (with the exception of Little Red Riding Hood and The Three Little Pigs). However, these two well-known tales do not provoke any commentary or provide any tools for interpreting the new story. A second type of working-class family (Type II) is characterized by parents who were educated in France up until secondary school, or in vocational education, working in unskilled or low-level jobs, who do not read much themselves but ensure that their children read regularly. Their own schooling led them to focus on the “meaning” to be retained from texts, the moral, or an explicit reflection on the personal experience of the child that the book provides—the importance of listening to adults, and so forth. Often these parents do not limit themselves to simply repeating the conclusion of the book, but reformulate it in terms of what the child should “retain” and encourage him or her to repeat it, much as would have formerly been done in primary schools. They also emphasize the book’s presentation of narrative stages, their logical connections, the causality between events, and so forth. They are particularly comfortable with “traditional” books, whose conclusions or messages are straightforward and capture the connections between the elements that make up the story fairly explicitly (for example, the mother goat giving instructions, the kids respecting them, which enables them to escape from the wolf, and she congratulates and rewards them). These parents conduct a similar reading of the “complex” picture books, focusing on what they understand—unlike the first type of family, they clearly present the reasons for their dislike for these kinds of books, claiming they “have no message,” that they are “unclear, vague,” or saying “you don’t know how it ends.” They can see that something has been left unsaid but cannot imagine that the meaning must be sought out by the reader. They are familiar with a certain number of traditional stories that the “complex” book refers to, and are often surprised, or even disturbed, by the fact that Little Red Riding Hood, or the lamb from the Fables de la Fontaine14 are not accompanied by the “real story.” They are concerned that the children will only remember this “bad” or “wrong” version, and that they will “get confused.” Similarly, the behaviour of the wolf, which, in the “complex” books, deviates from the traditional archetype, often leads these parents to fear that the child will get “lost” when these bearings are changed. They do not see this book as a game that allows the typical characteristics of the characters to be situated in relation to each other by implicitly comparing the archetypal wolf with the alternative one. They use the clues in the pictures when they are referred to in the text (the flour that falls off the wolf’s paw), but they do not do so when the relationship between text and image is merely implied. Instead of considering the brevity of the text as a sign that meanings must be found elsewhere, they consider this a sign of lower standards—the potential of these “complex” books is not mobilized. Indeed, even the explicit significations are curtailed by the adult for fear that the children will not understand books (both for “simple” texts and even more so for “complex” ones). These adults tend to “restrict” the book’s meaning by “correcting” or adding to the reading, formulating the signification they have grasped and excluding other possibilities. The primary reading is seen as “exhausting” the significations of the text. These parents encourage their children in the cognitive activities of identifying and memorizing explicit elements such as the correspondence between the text and the pictures, the unfolding of narrative stages, and the recognition of characters and their intentions. Conversely, the parents in Type III have completed tertiary education in literature, arts, or education and/or are working in these professional areas. These “cultivated” parents focus on encouraging children to formulate the unspoken messages themselves, to elaborate interpretive hypotheses, and justify them using clues, as well as remembering the explicit significations presented by the book or the adult. Here shared reading is the opportunity to become familiar with cognitive activities involving the search for clues as to meaning, to produce anticipations as to the next stage of the story or its conclusions. More generally, it is a socialization to a form of reading based on a permanent quest for the meaning or meanings of a text, in which “reading” means constructing hypotheses and reformulating them according to the clues that are discovered. These parents show that rereading a given text provides access to complimentary, or even different, meanings. This “scholarly” shared reading is particularly common in the case of “complex” texts, but they also compare these texts to the more traditional versions and mention the original fairy tale. For example, the wolves in the two books are used to evoke the typical, respected, or distorted characteristics of this character. Moreover, this identification is presented as a clue to a hidden meaning in the complex text. This is made possible by the parents’ familiarity with all the references that are alluded to in the “complex” picture book. Reading is therefore revealed by the parent to be an act that involves situating a book within a patrimonial context and paying attention to the way it was created—playing with traditional codes, innovating with narrative styles, and so forth. However, these Type III families are in the minority, both because working-class families represent the majority, and because there are other families in which the parents are managers or engineers, for example, whose trajectories are less marked by artistic and literary culture than by technical culture (Type IV). This type of family tends to mobilize these “scholarly” ways of reading less often and therefore finds itself in a kind of intermediary position between Types II and III. These families of technical and commercial managers may use subtle clues when they are aware of them, but their way of reading is not focused on the discovery of hidden meanings. Here we can see that the gains of the sociology of cultural practices in turn shed light on the sociology of learning. Indeed, this observation of shared reading allows us to understand how co-readers in Type III articulate the moments of “participative reading” (Renard 2011)—for example when they are swept up in the emotion or the suspense—as well as moments in which they distance themselves from the text, which is more in keeping with the form of reading required, but not commonly taught at school. Sociologists of education are particularly interested in these moments of concentration or distance from the flow of the narrative, which often overlooks how the “study” of these texts participates in their “participative” appreciation (the identification of a particular figure of style may help some children identify with the feelings, suspense, or contemplations that the text provokes in the “supposed reader”). In Type III families, the library available to children contains books that are eclectic in terms of their legitimacy, and which draw on a variety of kinds of cognitive activity. But reading practices in the same kind of families are not as dissonant as we might expect from the diversity of books present. Although there are nuances in the ways in which types of book might be read (the “traditional” text is subject to less decoding because it requires less), parental guidance through discussion around the text, questions, shared glances, silence, and emphasis, which invite the child to look for themselves, all contribute to a homogenization of the way books are considered. For all kinds of books, it is intelligent reading that is encouraged—that which leads to the investigation of possible meanings. This is the case in the decoding of the “complex” book, compared with the “traditional” book, but also for others, and is inscribed in a broader cultural repertoire. This homogeneity of the intellectualizing perspective on children’s books brings order to the apparent eclecticism of the repertoire. As for the working-class Type I and II families, they show both a univorous consumption of picture book genres (among the least legitimate) and a relative homogeneity in modalities of reading possible (vocalization of the text for Type I, emphasis on the explicit meanings for Type II). The kind of text has an influence on this, with the traditional and the complex book more likely to encourage different levels of reading. But this influence is only relative. Type III families mobilize cognitive activities that are not very widespread socially, and they do so both in reading complex texts but also in reading the traditional books in contrast with them. Conversely, working-class families (Types I and II) read all the books in the same way as they read simple texts. A given picture book can thus be read in different ways. Whether it belongs to a more or less legitimate repertoire is not enough for us to be able to deduce the way it will be read. The apparent “eclecticism” of the repertoires (measured by the content of the home libraries) must therefore be considered in light of the relative coherence in the “ways of reading” these disparate works. Similarly, the fact that a working-class family has a “complex” book in their library—possibly acquired through an unusual encounter with a legitimate channel of distribution—is not sufficient for the way it is read to mobilize the primary and secondary readings that it may encourage or require. The legitimacy of a work does not necessarily imply that it is used in “legitimate” or “intellectual” ways. These results confirm the choice of this research to focus on cognitive activities. Without invalidating the most frequent results from the sociology of culture, nor their theoretical interpretation in terms of omnivorousness and legitimacy, we have shifted the focus by looking at the origins of these observations in childhood cultural socialization, and these results support the need for further study of the socio-cognitive activities involved in appropriation and appreciation both among children and adults. This shift in the borders of the sociology of culture borrows above all from the sociology of education. On the other hand, advances in the sociology of culture in terms of understanding the evolution of cultural legitimacy, particularly in terms of its eclectic characteristics would be very useful for the sociology of education when it questions evolutions in curriculum and the recognition of the cultural heritage that schools aim to transmit. The elements on loan to the sociology of culture here were also taken from other disciplines: didactics, psychology of learning, literary and narrative studies, and history of literature. Although they may incur certain “costs,” they have the advantage of paving the way for new avenues of research in sociology. This approach, which consists in borrowing results from other disciplines, could also prove useful for studying the socio-cognitive activities that social beings mobilize in areas other than culture or education. 3 The Inheritors brings together elements that are not always as comprehensively articulated in other texts of the period. 6 In France, preschool (école maternelle) begins at age 3 and lasts three years. Bautier Élisabeth, Crinon Jacques, Delarue-Breton Catherine, Marin Brigitte (2012). “Les textes composites: des exigences de travail peu enseignées ?.” Repères, 45: 63-79. Bautier Élisabeth & Rayou Patrick (2009). Les Inégalités d’apprentissage. Paris, PUF. Bautier Élisabeth & Rochex Jean-Yves (2007) . “Apprendre: des malentendus qui font la différence ?.” In Deauvieau Jérôme & Terrail Jean-Pierre (eds.). Les Sociologues, l’école et la transmission des savoirs. Paris, La Dispute: 227-241. Bernstein Basil (1975). Langage et classes sociales. Paris, Minuit. Boiron Véronique (2006). “Le développement de l’enfant apprenti-interprète: interactions adulte-texte-enfants à l’école maternelle.” Les dossiers des Sciences de l’Éducation, 15: 11-25. Bonnéry Stéphane (2007). Comprendre l’échec scolaire. Paris, La Dispute. Bonnéry Stéphane (2012). “Les outils sémiotiques et les dispositions sollicitées: sociologie historique des “lecteurs supposés” dans le Père Castor (Premières lectures) et la littérature enfantine.” Séminaire Paul Faucher (1898-1967): l’édition au service de l’Education nouvelle (Dynadiv, Ciciic et Circeft, les Amis du Père Castor). [On line]: http://halshs.archives-ouvertes.fr/halshs-00684257 [accessed on 2 Februar 2018]. Bonnéry Stéphane (2014). “Les livres et les manières de lire à l’école et dans les familles: réflexions à l’occasion de la parution de la liste ‘maternelle’.” Le français aujourd’hui, 185: 47-57. Bonnéry Stéphane & Eloy Florence (2018). “La socialisation à la ‘disposition esthétique’ dans l’enseignement musical: un analyseur des modalités légitimes d’organisation de l’éclectique.” In Kirschberg Irina & Robert Alexandre (eds.). Bourdieu et la musique. Bilan et perspectives. Paris, Delatour (à paraître). Bourdieu Pierre, Darbel Alain, Schnapper Dominique (1991) . The Love of Art: European Art Museums and Their Public. English translation by Caroline Beattie and Nick Merriman. Palo Alto, Stanford University Press. Bourdieu Pierre & Passeron Jean-Claude (1979) . The Inheritors. English translation by Richard Nice. Chicago, University of Chicago Press. Bourdieu Pierre (1984) . Distinction. A Social Critique of a Judgement of Taste. English translation by Richard Nice. London/New York, Routledge. Bourdieu Pierre (2000) . Pascalian Meditations. English translation by Richard Nice. Palo Alto, Stanford University Press. Chamboredon Jean-Claude (1985). “Une sociologie de la petite enfance ?.” Espaces Temps, 31/32: 85-90. Chamboredon Jean-Claude & Fabiani Jean-Louis (1977). “Les albums pour enfants. Le champ de l’édition et les définitions sociales de l’enfance.” Actes de la recherche en sciences sociales, 13:60-78 et 14: 55-79. Chartier Anne-Marie (2009). “Lire avec les enfants.” Le Point sur…, 14: 3-8. Chartier Anne-Marie & Hébrard Jean (2000). Discours sur la lecture (1880-2000). Paris, BPI-Centre Pompidou/Fayard. Connan-Pintado Christiane (2010). Lire des contes détournés à l’école. Paris, Hatier. Coulangeon Philippe (2004). “Classes sociales, pratiques culturelles et styles de vie. Le modèle de la distinction est-il (vraiment) obsolète ?.” Sociologie et sociétés, 36(1): 59-85. Darmon Muriel (2010). La Socialisation. Paris, Armand Colin, 2e édition. Détrez Christine (1998). Finie, la lecture ? Lire au collège, lire au lycée. Une enquête longitudinale (PhD dissertation, Sociology). Paris, EHESS. Donnat Olivier (1994). Les Français face à la culture. De l’exclusion à l’éclectisme. Paris, La Documentation française. Eloy Florence (2015). L’Enseignement de la musique au collège. Cultures juvéniles et culture scolaire. Paris, PUF. Ewers Hans-Eino (1996). “La littérature moderne pour enfants: son évolution historique à travers l’exemple allemand du xviiie au xxe siècle.” In Becchi Egle & Julia Dominique (eds.). Histoire de l’enfance en Occident. Tome 2. Paris, Points Seuil: 457-483. Fabiani Jean-Louis (2013). “Distinction, légitimité et classe sociale.” In Coulangeon Philippe & Duval Julien (eds.). Trente ans après la distinction. Paris, La Découverte: 69-82. Glevarec Hervé & Pinet Michel (2009). “La ‘tablature’ des goûts musicaux: un modèle de structuration des préférences et jugements.” Revue française de sociologie, 50(3): 599-640. Grossmann Francis (1996). Enfances de la lecture. Manières de faire, manières de lire à l’école maternelle. Berne, Peter Lang. Isambert-Jamati Viviane (2005). “Approches sociologiques des contenus d’enseignement.” In Ramognino Nicole & Vergès Pierrette (eds.). Le Français hier et aujourd’hui. Aix-en-Provence, Presses universitaires de Provence: 19-36. Kakpo Séverine (2012). Les Devoirs à la maison. Mobilisation et désorientation des familles populaires. Paris, PUF. Lahire Bernard (1993). La Raison des plus faibles. Lille, Presses universitaires de Lille. Lahire Bernard (1995). Tableaux de familles. Paris, Gallimard/Seuil. Lahire Bernard (2002). Portraits sociologiques. Paris, Nathan. Lahire Bernard (2006). La Culture des individus. Dissonances culturelles et distinction de soi. Paris, La Découverte/Poche. Lahire Bernard (2012). “Des effets délétères de la division scientifique du travail sur l’évolution de la sociologie.” SociologieS. [On line] http://sociologies.revues.org/3799 [accessed on 23 February 2018]. Lienard Georges & Servais Émile (1976). Le Capital culturel: déterminants sociaux et stratégies de transmission. Bruxelles, Vie ouvrière. Mauger Gérard (1999). “Écrits, lecteurs, lectures.” Genèses, 34: 144-161. Mauss Marcel (1950) . “Rapports réels et pratiques de la psychologie et de la sociologie.” In Mauss Marcel, Sociologie et anthropologie. Paris, PUF. Nières-Chevrel Isabelle (2009). Introduction à la littérature de jeunesse. Paris, Didier Jeunesse. Octobre Sylvie, Détrez Christine, Mercklé Pierre, Berthomier Nathalie (2010). L’Enfance des loisirs. Trajectoires communes et parcours individuels à la fin de l’enfance et à la grande adolescence. Paris, MCC-DEPS/La Documentation française. Pasquier Dominique (2005). Cultures lycéennes: la tyrannie de la majorité. Paris, Autrement. Passeron Jean-Claude (1991). “Les trois savoirs sur le savoir. Sociologie et sciences de l’éducation.” Le Raisonnement sociologique. Paris, Nathan: 347-354. Peterson Richard (2004). “Le passage à des goûts omnivores: notions, faits et perspectives.” Sociologie et sociétés, 36(1): 145-164. Renard Fanny (2011). Les Lycéens et la lecture. Entre habitudes et sollicitations. Rennes, Presses universitaires de Rennes. Rochex Jean-Yves (2009). “Repenser l’une par l’autre exigence de culture et exigence de justice sociale: vers une sociologie du développement cognitif ?.” In Derouet Jean-Louis & Derouet-Besson Marie-Claude. Repenser la justice dans le domaine de l’éducation et de la formation. Paris, INPR: 105-116. Rochex Jean-Yves & Crinon Jacques (eds.) (2011). La Construction des inégalités scolaires au cœur des pratiques et dispositifs d’enseignement. Rennes, Presses universitaires de Rennes. 1 One aspect of this reflection, solely focused on the contributions of the sociology of education to the sociology of culture, began with Florence Eloy based on our research on adolescents faced with mediation programmes and music teaching (Bonnéry & Eloy 2017). 2 This paragraph owes much to the collective thinking that occurred during the inter-laboratory seminar entitled “50 ans après Les Héritiers” (“The Inheritors 50 Years On”), initiated by Cédric Hugrée and Tristan Poullaouec, and in particular to Claire Lemêtre, with whom we organized a study day as part of this seminar, entitled “Relational Pedagogy and Cultural Transmission: Two Heritages to be Revised”. 5 For the study of dispositions for physical action, it would be appropriate to explore physical activities that construct them, as well as the discourses that might accompany them (for example “being brave” in the face of physical effort). 7 Most of the data collection was conducted by students at University Paris 8, under the supervision of our research team, as part of classes in an introduction to research. 8 The coding of the data was conducted by Véronique Soulé, a specialist in children’s literature, as part of a research programme conducted by the CIRCEFT-ESCOL team. 9 In what follows, the term “simple text” therefore refers to the books that have been coded as such, excluding books that are both “traditional” and simple, which are coded as “traditional” for clarity. Each book is coded as only one of the three categories. 10 The references cited here represent only a small selection illustrating the major trends among the many that are present in the overview of the literature (see our publications for the details). This is also true for the following criteria. 11 Unlike “theories of reception,” which have not studied actual reception (Mauger 1999), the “supposed reader,” as objectified by the book, is confronted here with the practices of actual readers. 12 Once again, after observation and interviews collected in ten families, the remaining interviews were conducted by students supervised as part of a class on initiation into research methods at the Department of Education Sciences at University Paris 8. 13 The theoretical and methodological aspects relating to the very specific conditions in which we promote the use of “experimental” techniques in sociology is not developed here. It is the subject of a forthcoming publication. 14 These Fables are a verse adaptation of Aesop’s Fables published for the court of Louis XIV. They have been a shared reference for school children in France for several generations, used in reciting poetry as well as in moral education. The illustrated collections of these fables were among the first children’s book accessible to all social classes. They have been progressively less used over the last twenty years due to increased competition from more contemporary children’s books.